If a tripping accident occurs on a public highway then the claim can be classified as one where the highway authority failed to maintain or repair the highway and or failed to carry out regular satisfactory inspections of the highway. The highway authority is under a statutory duty to maintain the highway and these duties are non-delegable and therefore the highway authority will always be the named as a defendant, even if it has delegated its statutory duty to maintain the highway to an independent contractor. If the tripping/slipping accident occurred somewhere other than on a highway then there may be a number of possible defendants and causes of action. The most common types of claim are those brought under the Occupiers’ Liability Act against the owner of the land where you fell. Highway authorities are not liable under the Occupiers’ Liability Acts for injuries which occur on their highways. Electricity, telephone, water and gas companies often need to carry out works on highways and sometimes this can be the cause of a trip or slip related injury. The New Roads and Street Works Act 1991 regulates works on highways which are carried out by statutory undertakers. If a statutory undertaker interferes with a highway and through their negligence causes personal injury then the statutory undertaker is liable in damages. A significant number of trip/slip claims arise from accidents suffered by lawful visitors to shops or similar premises. Such accidents will often have been caused by spillages which made the floor slippery. The burden of proof is on you to show on the balance of probabilities that the accident was caused by the negligence of the defendant and that there was an inadequate inspection and clearance system. Claims are usually brought under the Occupiers’ Liability Act 1957 on the basis of the common duty of care owed by shops to their customers. 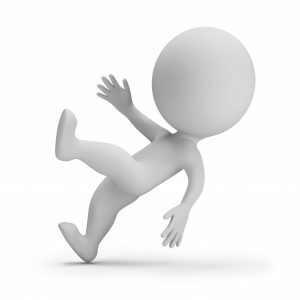 Making a claim for a slip or trip injury can be particularly complex and you will need the services of a specialist. If you have suffered an injury in an accident at work then you should contact our expert lawyers for free advice on 01392 285000.